Good things come to those who wait…including these adorable new arrivals to our flock. These three billy (male) goats called Shergar, Hyperion and Nijinsky, were born on 27 March at a nearby farm and will be hand reared by our rangers. 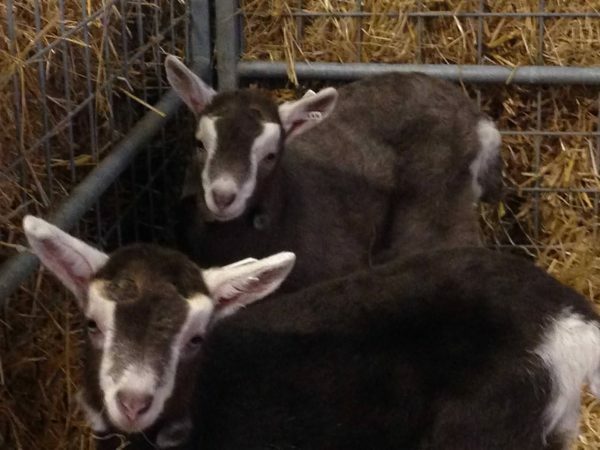 They are British Toggenburg goats with Swiss markings, which are one of 14 registered breeds in the UK and are used for milking. They will be joining our Cade lambs in the lamb and kid feeding shows, which take place daily at 11am, 12pm, 2pm and 4pm.